WordPress is an amazing CMS with every possibility to create almost anything. There are many plugins to extends the functionality of WordPress. As opposed to the default WordPress visual editor which does allow you to add images, media and HTML, however it doesn’t give you much organization features and no visual control over dynamic objects. Here, I have compiled a list of some of the amazing free visual editor plugins for wordpress. These plugins will help you format your website according to your design needs in no time, you can also use your own selected or hand written font with the use of these plugins. You may be interested in the following modern trends related articles as well: Free Bootstrap Widgets for WordPress, Free Business WordPress Themes for 2015, Premium WordPress Education Themes and Free WordPress iPhone Gallery Plugins. This plugin adds a new Visual Editor widget type that allows you to insert rich text and media objects in your sidebars with no hassle. The default WordPress text widget lacks of functionalities and it requires HTML knowledge, this plugin was born to overcome these limitations. WordPress Helpers opens up the missing settings you wish were in WordPress. Customize your login screen logo and background color. Expose the hidden WordPress settings page. Show ID’s on edit screens for Posts, Pages, Categories, Tags, Users, Media, Custom Post Types and Custom Taxonomies. Forget About Shortcode (FASC) Buttons are a visual way to add CSS buttons in the post editor screen and to your themes. Instead of adding shortcodes in the post editor, you insert real, styled buttons – making the process of adding buttons to your posts and pages much more natural whilst improving the appearance and usability of the post editor. PlugNedit is a ready to use Adaptive WYSIWYG Visual Editor that has features of a word processor and desktop publisher. 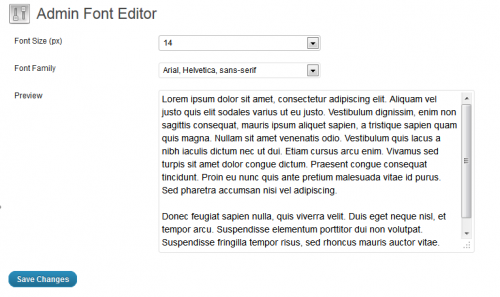 The Adaptive Responsive HTML Editor is based on a 3D page building design with height, width and depth options available. 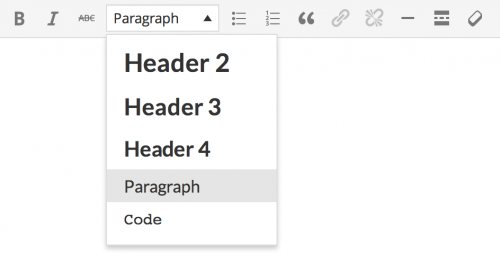 This plugin makes it easy to add Quicktags to the html – and visual-editor. It is possible to export your Quicktags as a JSON – file that can be imported in other installations of the plugin. The plugin can add configurable custom quicktags to the editor of every post type, including custom post types from other sources. Simple Admin plugin that lets you choose the font style and size for the Edit Posts / Pages test editor. Works only with HTML editor and the reply field of Comments in WordPress admin. Also works with the Fullscreen / Distraction Free Editor. Comes with a preview feature. Select from a variety of icon fonts, and see them right in the visual editor with the simplest icon font tools available. Font Awesome gives you scalable vector icons that can instantly be customized – size, color, drop shadow, and anything that can be done with the power of CSS. For sites that have been built Responsive, this plugin will enable you to adjust your content too. On mobile devices like smart phones people are less likely to read very long pages of content and with the Responsive Content plugin you can easily adjust the text showing on these different devices. Visual Editor Custom Buttons is the answer. With this plugin, you can easily add your own custom buttons in the Visual Editor, as well as the HTML Editor. You can then add HTML code to the button, either as a wrap (before, after) or as a single block. Simple, option-less (yeah, that’s a feature), plugin to make TinyMCE – the WordPress Visual Editor – easier for clients and n00bs. It removes a bunch of TinyMCE features that could potentially be used by inexperienced clients to screw-up the theme developers hard work! Description: Beef up the WordPress TinyMCE content editor with a plethora of advanced options. In WP Edit, there is an option under the “Database” tab, which will attempt to import any settings from Ultimate Tinymce. Adds the Glyphicons included with Twitter Bootstrap 3 to the WordPress visual editor. All credit goes to those 2 places for their awesome work! In the visual editor you will see a new bright red “G” button. Click the button. Simply select any icon and the shortcode will be placed into your post/page! Should I Buy a Hosting Account or Use an Online Website Builder?